When was the last time you were awestruck by the beauty or grandeur of public art? Have you ever experienced the visited a war memorial? Marveled at the Statue of Liberty or the sparkling, abstract statues at the Palladio in Folsom? Been dazzled by the fireworks over the Folsom Rodeo? Then you have experienced the power of public art. Public art inspires hearts, benefits communities, and enriches the lives of everyone who experiences it. Folsom’s newest public art project is a one-of-a-kind art and music experience like no other: The Johnny Cash Trail. Read on to discover the many unexpected ways the Johnny Cash Trail will inspire the citizens of Folsom and bring value to the City of Folsom. #1: It creates a beautiful new public space. Beautiful public spaces are crucial to the health of a community. Public spaces invite visitors and residents to be more engaged with the town, physically, socially, economically, and intellectually. The Johnny Cash Art Experience will provide a place for residents to get outside and get active by inviting bikers, joggers, dog walkers, and anyone else who wants some fresh air to get outside and get moving. It will create a beautiful place for residents to gather and take in a show at the amphitheater or socialize with friends. It will invite tourists to visit the trail and the town. It will teach newcomers and new generations about Folsom’s culture and history. #2: It provides an educational experience for all ages. When the recession hit back in 2008, schools felt the impact. This led to budget cuts to programs that are vital to our children’s educations, such as music and arts programs. Arts education helps kids develop cultural awareness, creative thinking skills, decision-making skills, and even language skills. It’s high time cities invested in arts and music again, and the Johnny Cash Trail is Folsom’s way of doing just that. The Johnny Cash Art Experience will bring great art and powerful music to life for a new generation of students. #3: It makes the arts more accessible. The Johnny Cash Art Experience would make art more accessible for everyone. Too often, art is available at a price, making it more challenging for people to enjoy it. Museums charge entrance fees, and art classes cost money. Public art is open to all. Even better, the Johnny Cash Art Experience weaves art into Folsom’s community in a way that is completely unique. By incorporating this experience in a hiking trail, the City of Folsom makes art a part of your daily and weekly routines. The trail’s 8 sculptures aren’t like the art you may see hung on a wall, hidden behind glass, or secured behind a velvet rope. The art on the Johnny Cash trail invites you to ride past on your bike, to walk up and touch, to feel the cool strength of steel or the rough warmth of natural stone. #4: It celebrates Folsom’s history and culture. When your kids ask who Johnny Cash is, you can take them to the feet of the 40-ft tall Man in Black statue and show them. When out of town guests want to know what’s so special about the town of Folsom, you can take them biking on the trail to see the art, as well as Folsom’s dam, lake, and the American river. When public art serves as a monument or a historical memorial, it helps to define which elements of our history are important to local citizens. Public art urges you to ask what you want to remember and learn from as you move into the future. It marks history as a moment in time worth remembering, something you want to teach your children about and carry with you. Public art can reflect on the past and celebrate progress. The Johnny Cash Trail is art recognizing the cultural impact of one man on an entire community. Projects like the Johnny Cash Art Experience help us preserve a piece of history. The Johnny Cash Trail is an art experience, it is a bike path, but it is also a monument of sorts. It is a monument to a tremendous musician and legendary man. It serves as a reminder to his connection to Folsom. The experience will allow Folsom residents to celebrate the town’s history and culture, and to pass that heritage on to future generations. #5: It encourages economic development. 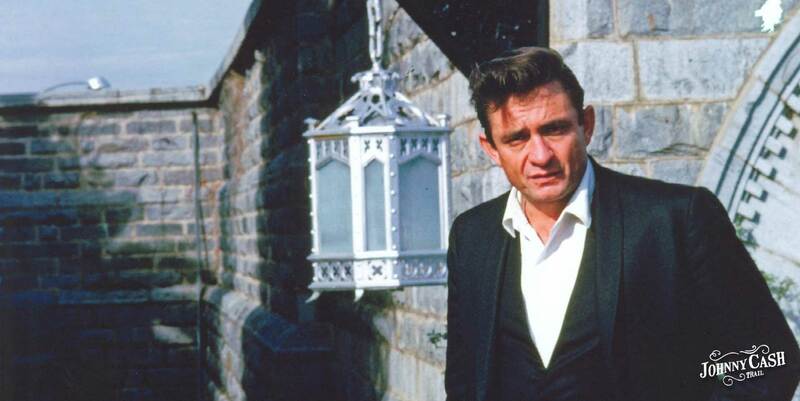 Visitors come from all over the world to visit Folsom and see the prison where Cash performed.The Johnny Cash Art Experience will be a popular new tourist spot. The trail will be an important stop on any good sightseeing tour of Folsom, attracting new guests to Folsom and encouraging economic development. Visitors to the trail will eat at local restaurants. Residents going to enjoy the park and amphitheater will pick something up from a food truck on their way over. Cyclists will purchase bikes and helmets, runners will buy shoes. Tourists from out of town will book hotel rooms, rent cars, and buy coffee from a local shop. Public art like the Johnny Cash Trail invites more money into the community. So, what do public art projects like the Johnny Cash Trail mean for Folsom? They celebrate our town’s history and bring economic development. Public art brings beauty and new life to our community. The arts are an important part of a well-rounded education, and of our culture. By supporting public art projects like the Johnny Cash Trail, you’re helping to build a healthier, more vibrant community. If you’re as excited about the Johnny Cash Art Experience as we are, stay tuned. We couldn’t do this without your enthusiasm and support. Public art has many benefits for communities such as Folsom. Discover the ways public art can make a remarkable impact on the lives of our children in our second post in this series: The Unexpected Benefit of the Johnny Cash Trail: Pt 2.